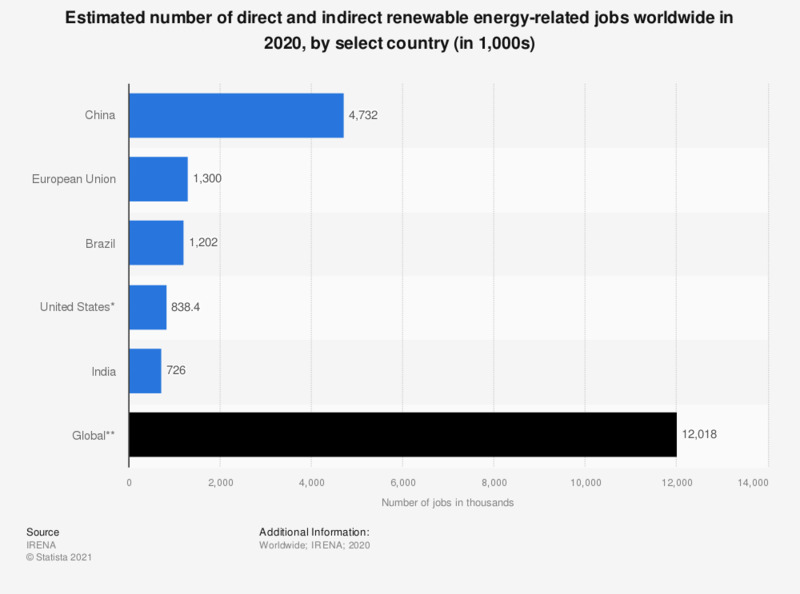 This statistic represents the estimated number of renewable energy-related jobs worldwide in 2017, sorted by country. In Germany, there were about 332,000 renewable energy-related jobs in that year. * Includes small and large-scale hydropower jobs.